No. 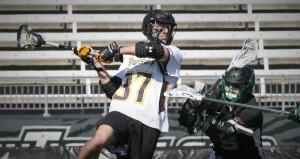 9 Towson recovered from a slow start and defeated the Binghamton Bearcats 15-6 at Johnny Unitas Stadium on Saturday. 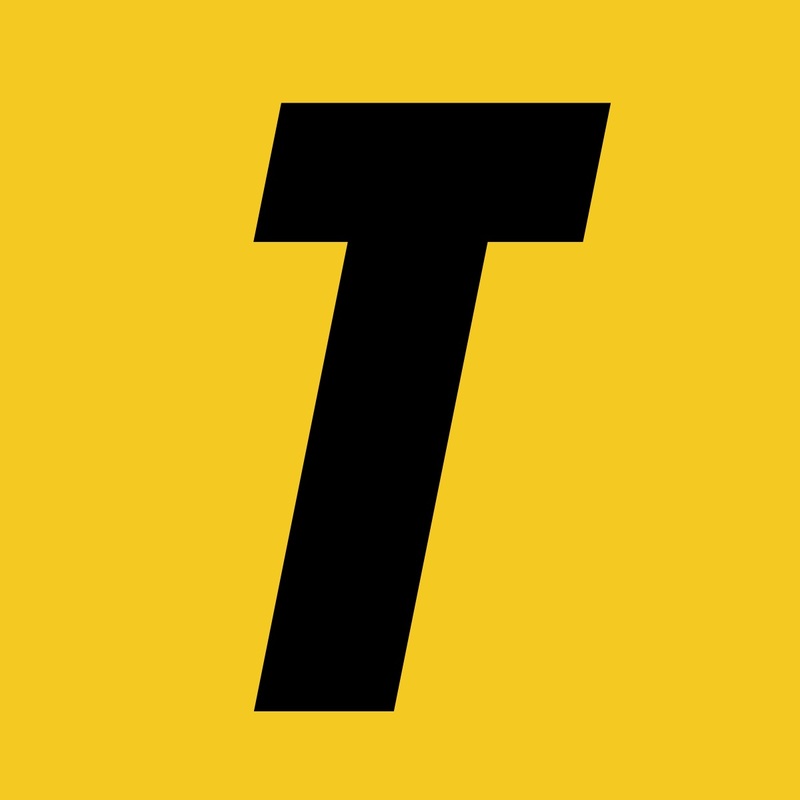 The Tigers (8-1), whose only loss this season was to No. 9 Johns Hopkins, were tied with the Bearcats (2-5) at halftime, but a 12-3 run in the second half helped the team pull away for the win. 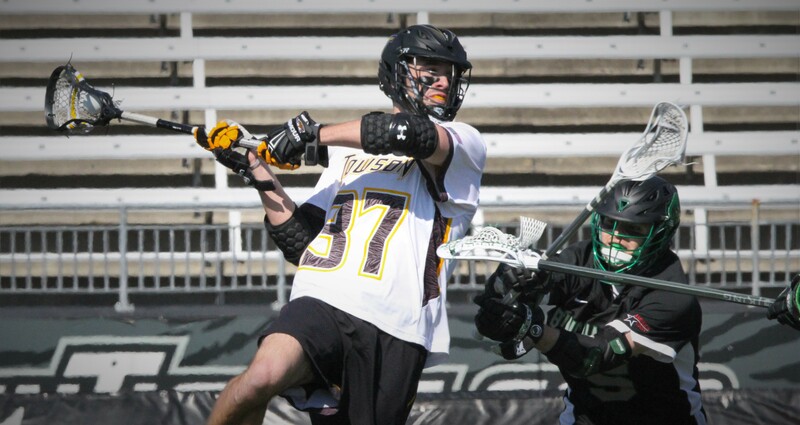 Towson found itself in an unusual position at the start of the game, as Binghamton’s attackman Ben Kocis scored two straight goals in the first quarter and put his team ahead 2-0. Junior attackman Ryan Drenner cut the lead with his 14th goal of the season, but the Bearcats scored a goal with two seconds left in the quarter and took a 3-1 lead into the second quarter. 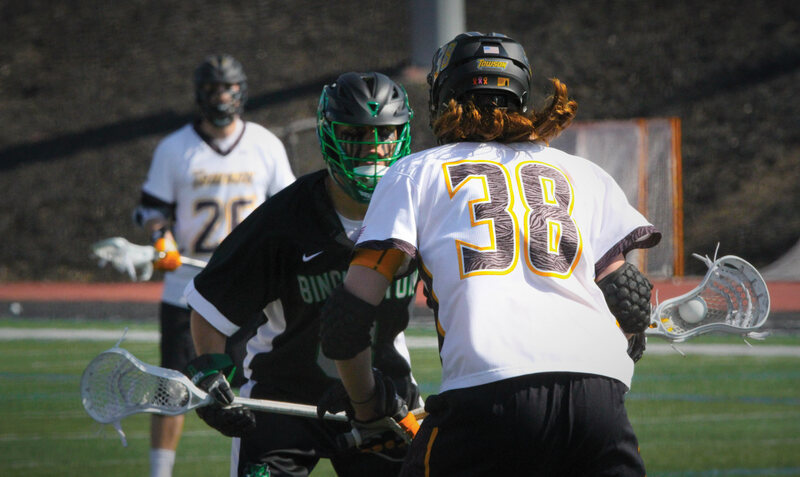 Both teams struggled with offense in second quarter until redshirt junior midfielder Brian Bolewicki scored back-to-back goals, which had both teams tied 3-3 at halftime. Drenner opened the third quarter with two straight goals, which gave the junior a hat-trick and put the team ahead 5-3. Drenner finished the game with six points and leads the team with 17 goals (tied with junior attackman Joe Seider) and 13 assists. “We just went into halftime knowing that we had a lot more energy left in us and we had to put that out on the field,” Drenner said. The Bearcats added another goal after Drenner’s outburst, but Seider answered with a score and freshman midfielder Jon Mazza scored two straight goals, which put the Tigers ahead 8-4. Towson pulled away in the fourth quarter with seven goals, including Drenner and Seider’s 17th goals of the season. Redshirt senior goalie Tyler White finished the game with 11 saves and complimented Binghamton’s performance. Towson had nine different goal scorers, including junior midfielder Matt Wylly, who scored his first goal of the season. Senior attackman Spencer Parks finished the game with two assists and is now second on the team with 10 assists this season. 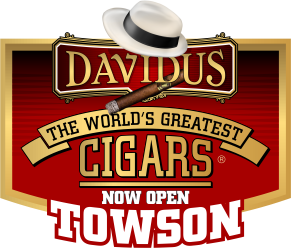 The Tigers are now 6-0 at Johnny Unitas Stadium this season and head into conference play. The first Colonial Athletic Association (CAA) game is a home matchup against the Drexel Dragons (4-5). The Tigers lost to the Dragons last regular season, but defeated the team in the first round of the CAA Tournament. The Dragons have rebounded from three straight losses to begin the season with wins over Saint Joseph’s, St. Johns’, Bryant and Mercer. The Dragons are led by junior attackman Cole Shafer, who has 18 goals and sophomore attackman Robert Frazee, who has 17 goals. This CAA matchup on Saturday at Johnny Unitas Stadium is at noon.